Angel of the Seas. 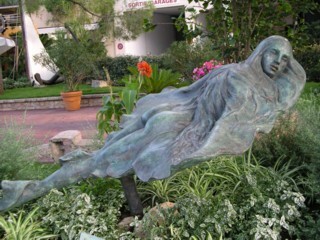 Sculpture and photo © by Amaryllis. Originally exhibited as part of the grand opening of the Metropole Hotel in Monte Carlo, she was subsequently exhibited in Galerie Robin Leadouze in Paris. 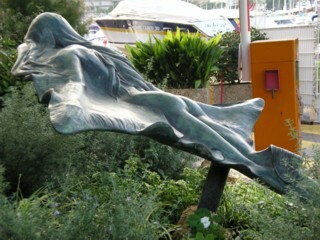 A replica of the sculpture is normally exhibited at the Monte Carlo Yacht Club, although currently the Yacht Club is under renovation. Until this is completed, the statue is installed in a nearby park. When it was originally installed here, the inauguration was conducted by Prince Albert of Monaco. Angel of the Seas unveiling by Prince Albert of Monaco. 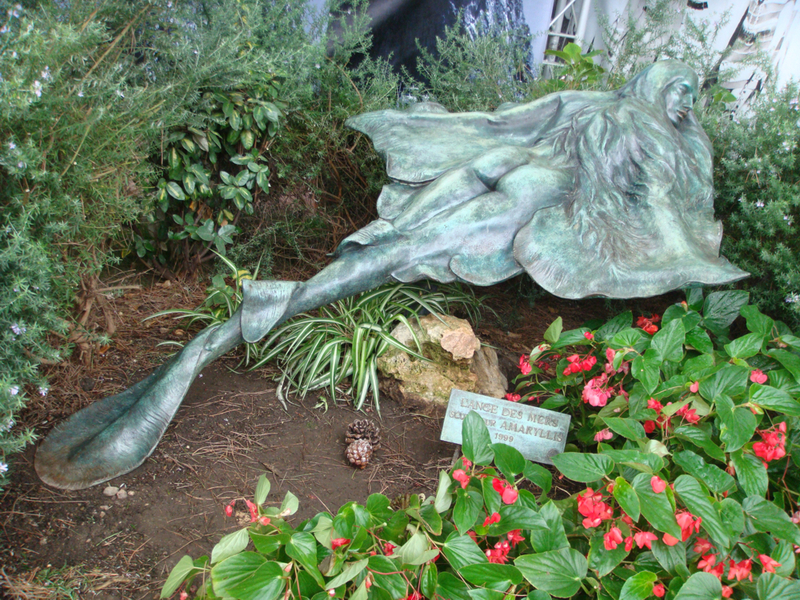 As many of the sculptures by Amaryllis, l’Ange des Mers is a bold and unique interpretation of the mermaid concept, and a wonderful addition to the mermaid statues of the world. 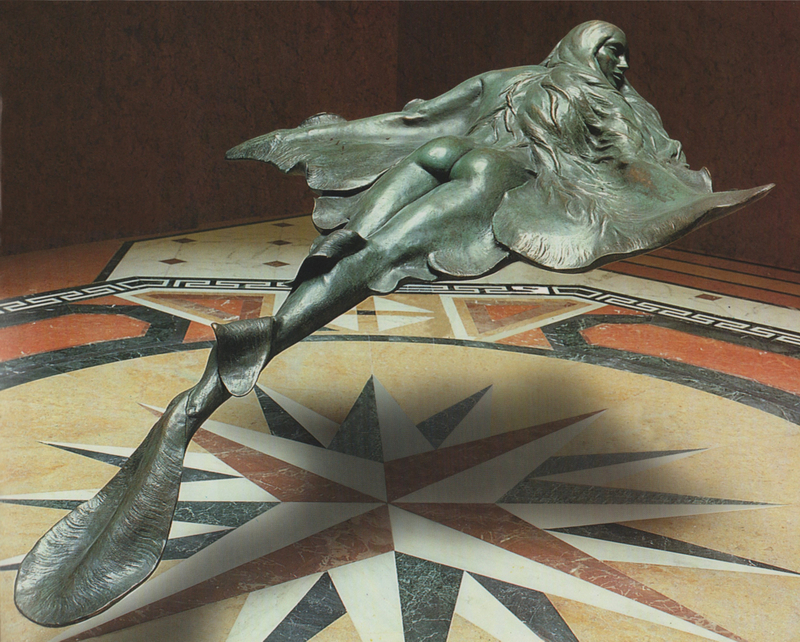 Amaryllis has subsequently sculpted other works of art with a similar message, including the mermaid statue ‘Atlante’ which was installed in the port of Cannes in 2000, and the Ama mermaid statues which are part of Amaryllis Art for Charity. Angel of the Seas by Amaryllis. Angel of the Seas with Prince Albert of Monaco and Amaryllis.